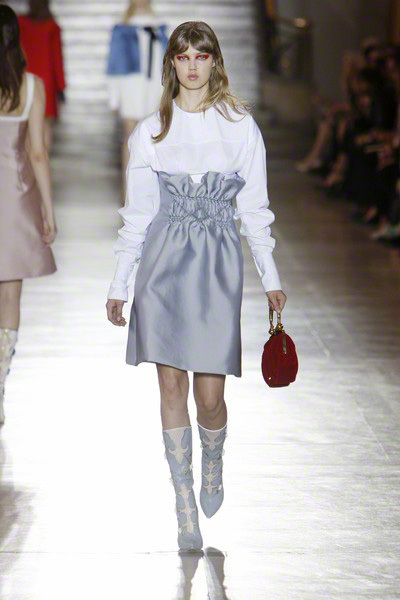 The Miu Miu show opened with a confusing series of clothes that reminded of schooluniforms, drabby colors, basis skirts and shirts. 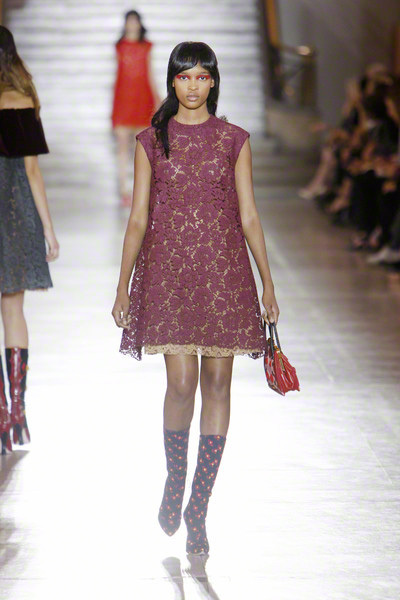 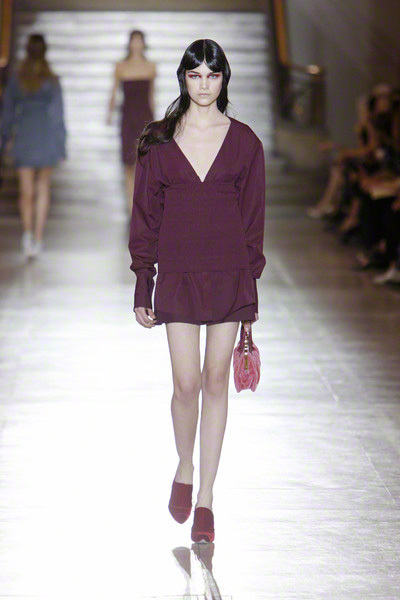 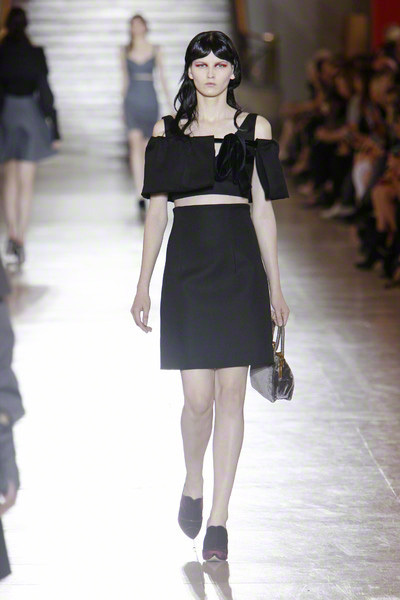 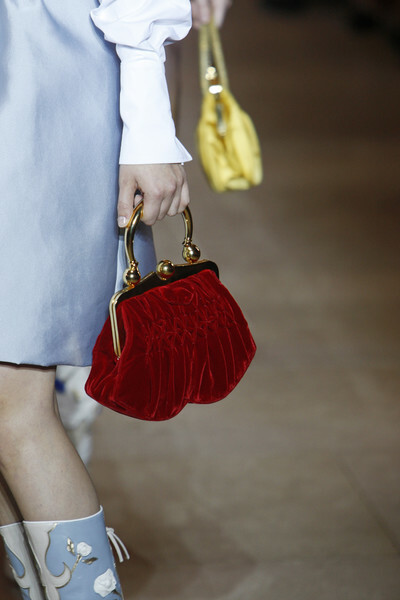 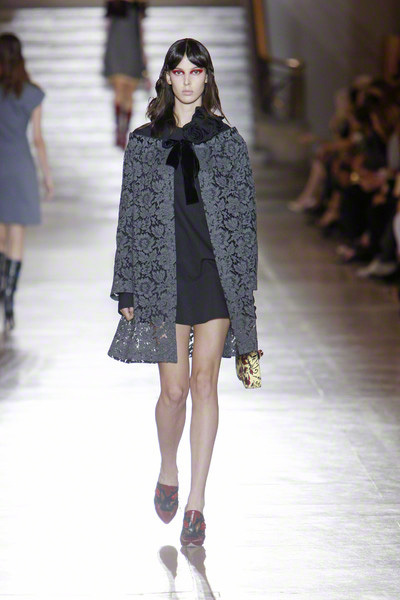 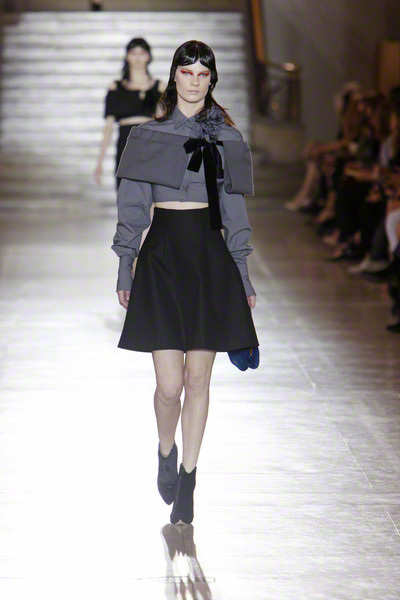 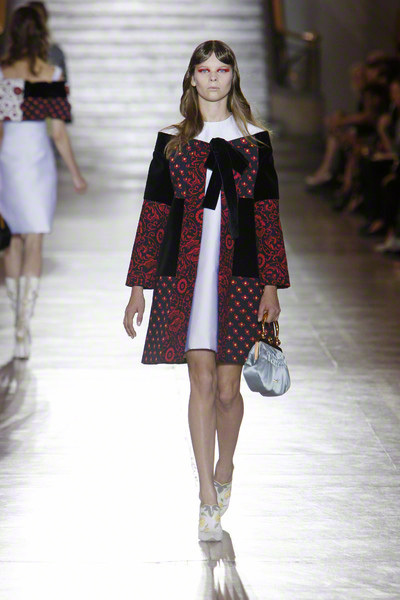 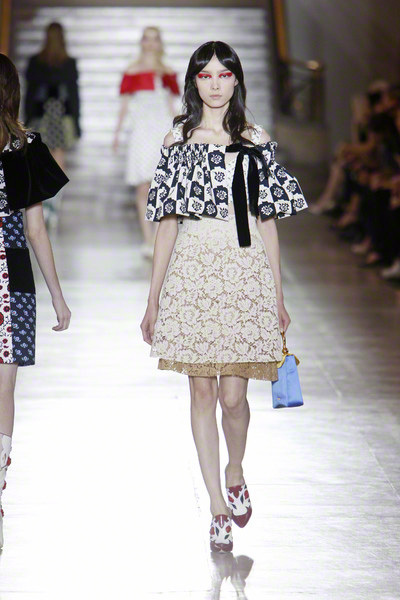 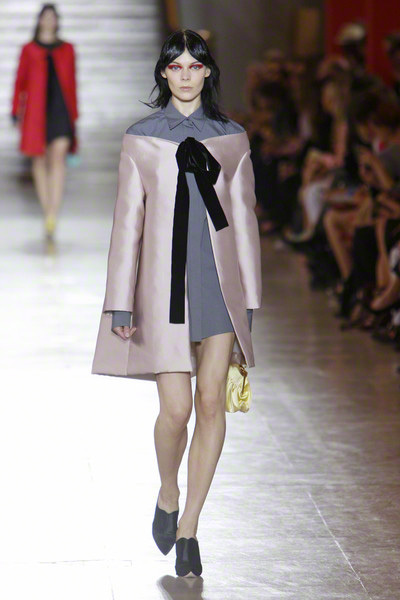 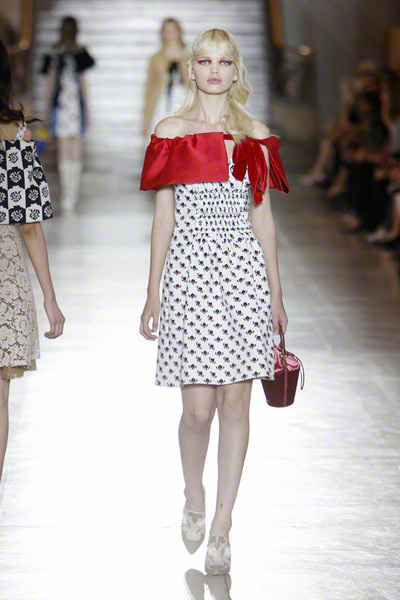 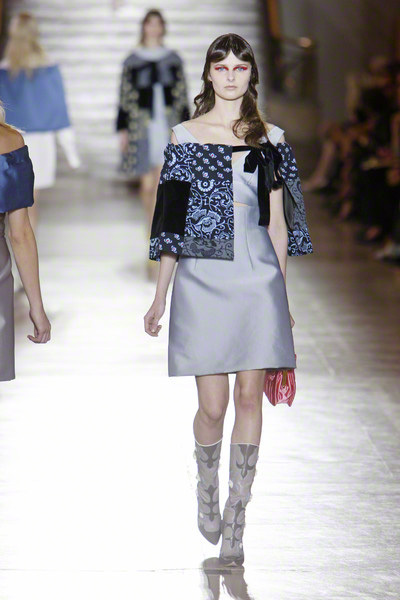 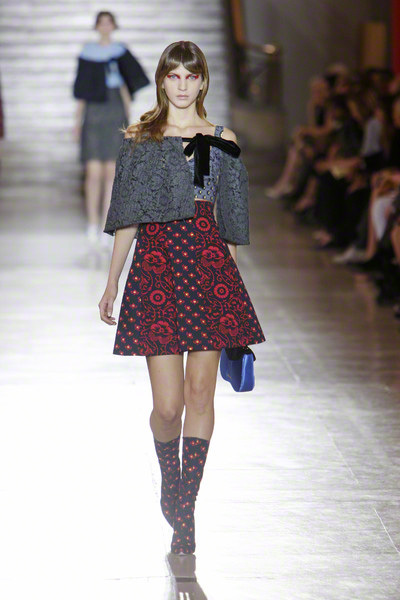 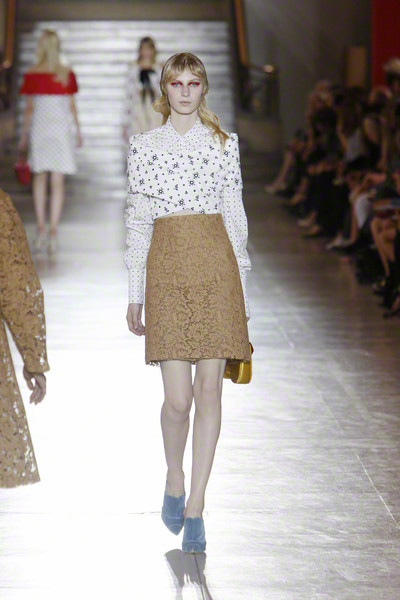 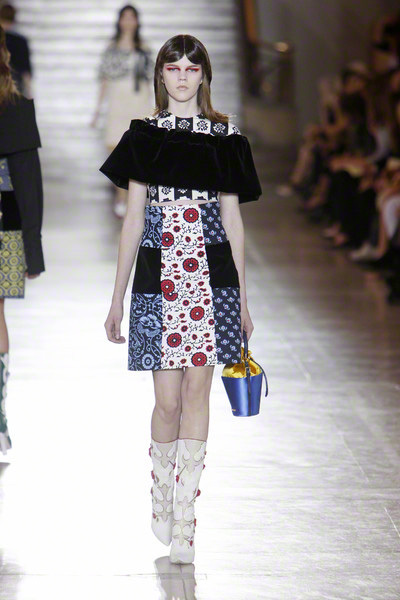 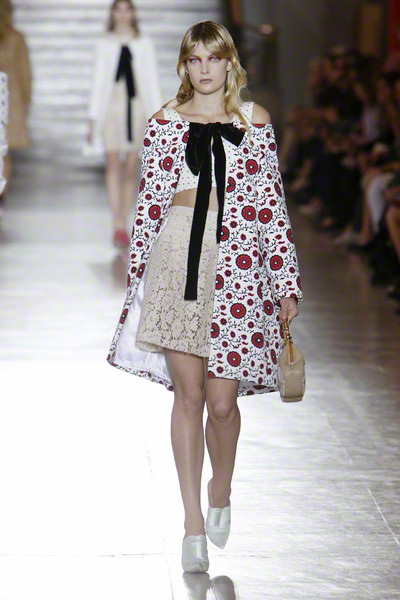 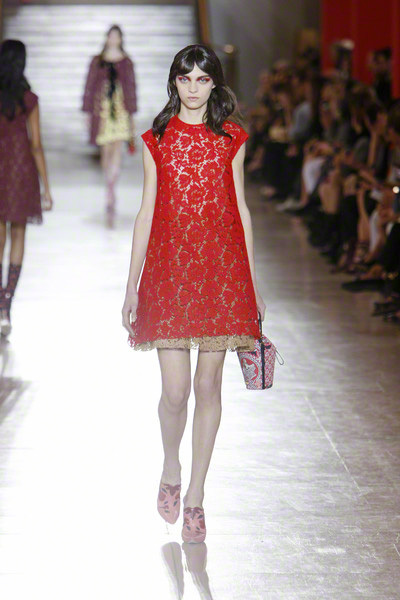 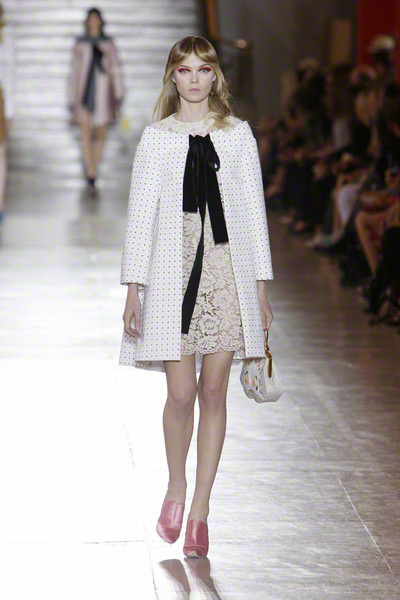 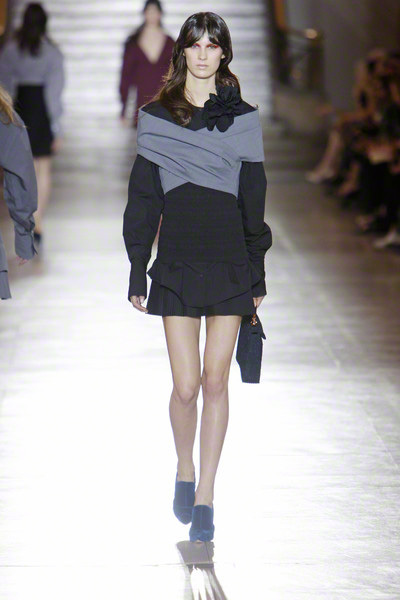 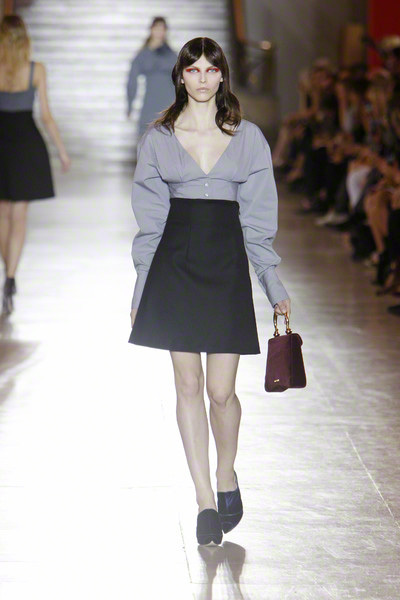 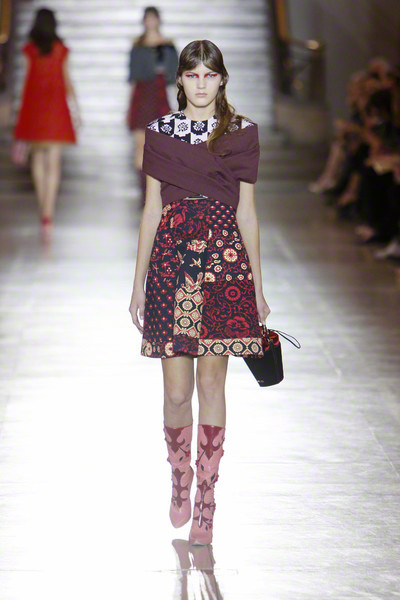 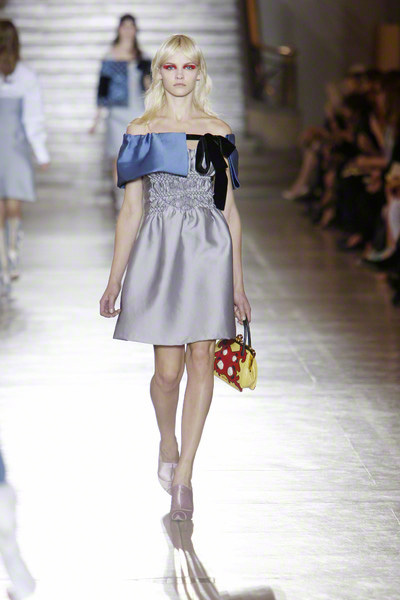 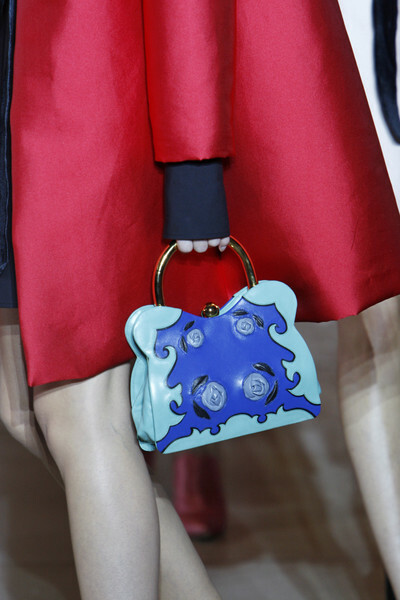 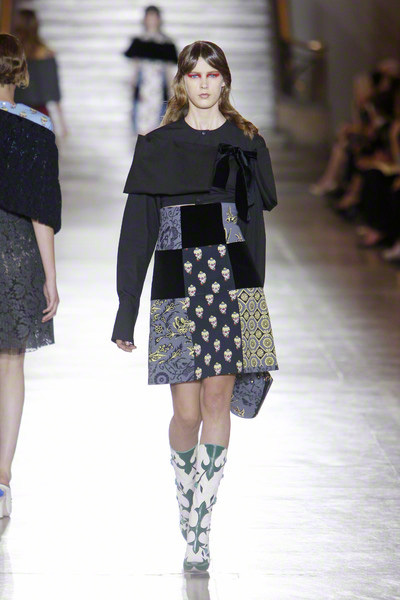 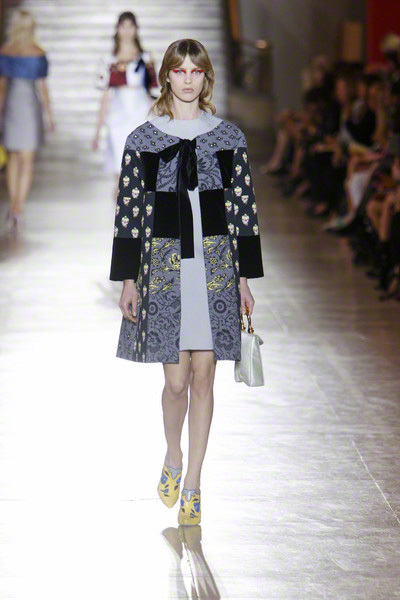 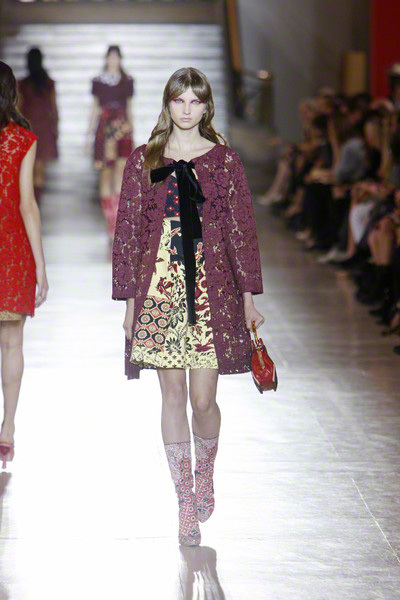 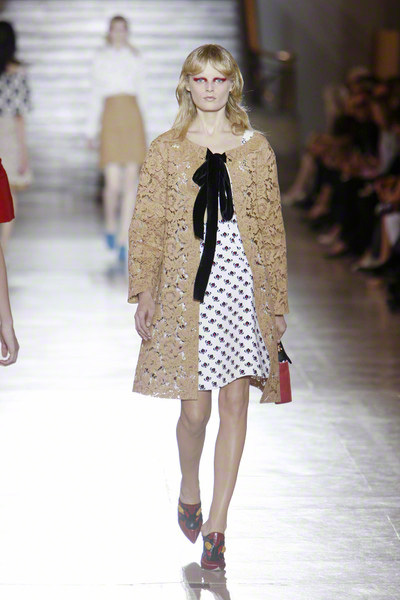 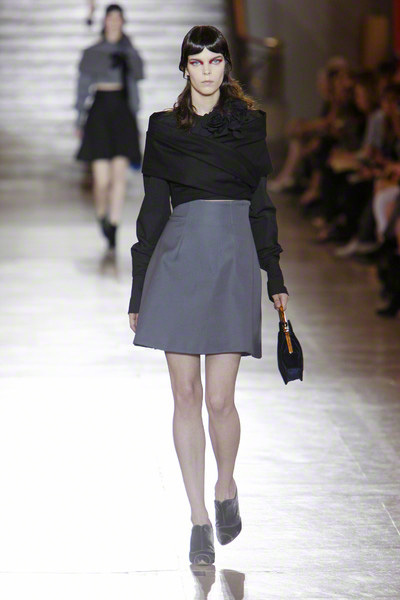 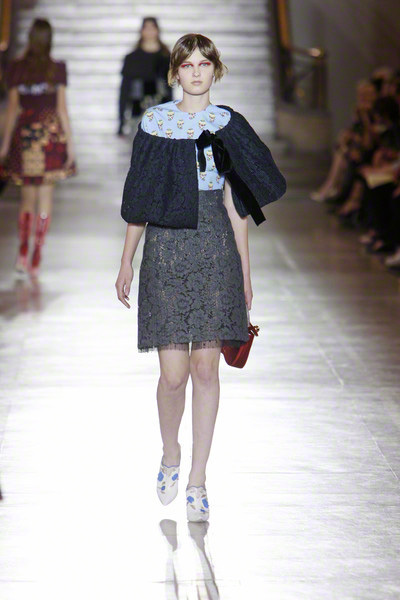 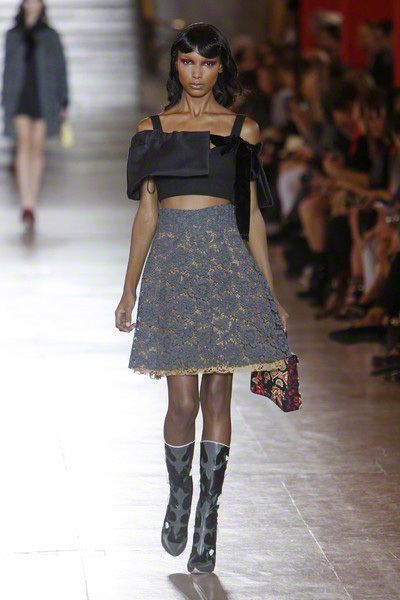 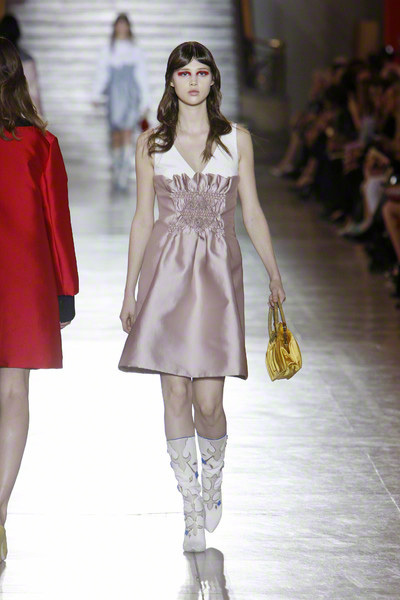 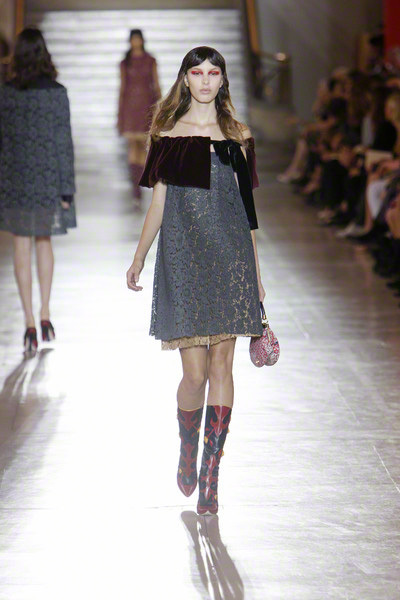 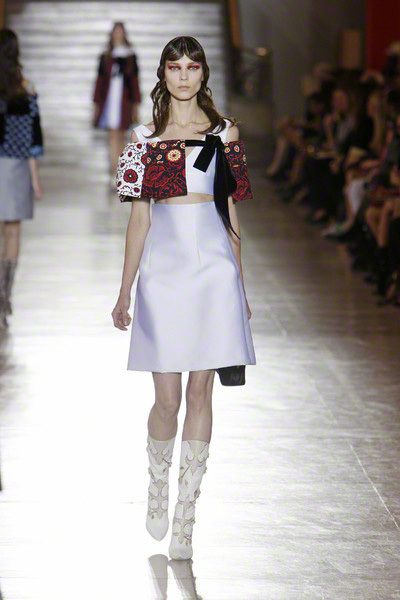 Was this the same Miucca Prada who’d sent out this strong, and happy collection two weeks ago in Milan? 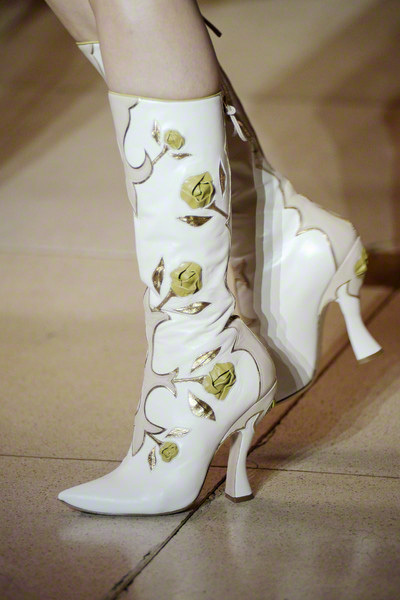 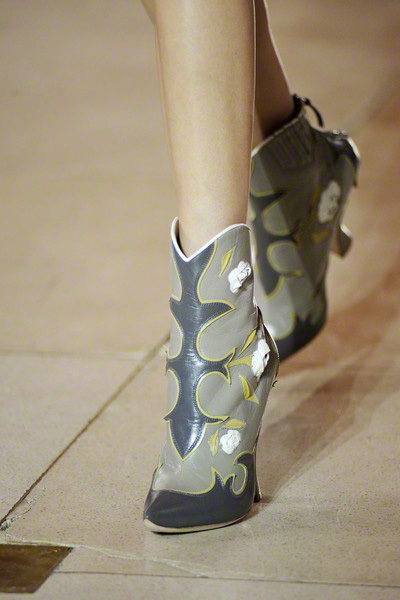 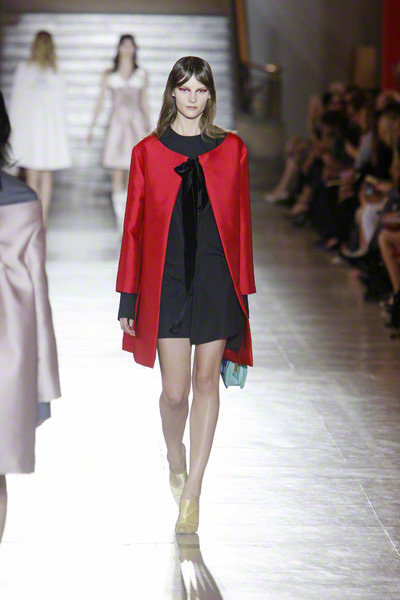 But it was part of the show, which build the collection slowly, piece by piece, fabric by fabric, color by color. 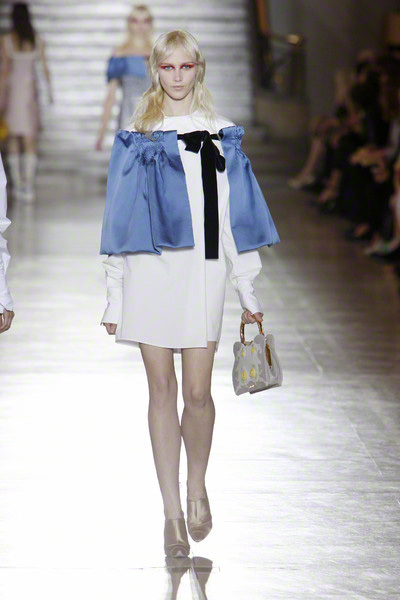 The schooluniform was the basis (A-line silhouette, simple shirts), color, lace, frivolous accessories added along the way more festivity to the clothes. 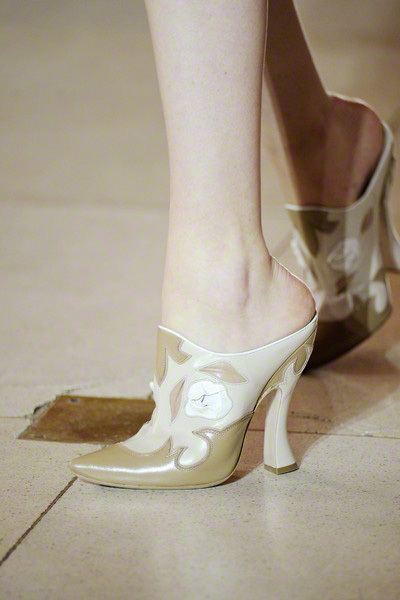 Like Cinderella getting ready for the ball.